Boasting “astounding low-light performance,” the weather-proof, super tough snapper comes with a native ISO range between 100 and 102,400, which can be boosted to a darkness-inquiring high-sensitivity range between 3200 and 12,800. But wait – they’re not finished yet – there’s also the option to expand from ISO 50 (Lo-1) to ISO 3,280,000 (Hi-5). Yep – that’s right – the ISO stretches into the millions here! 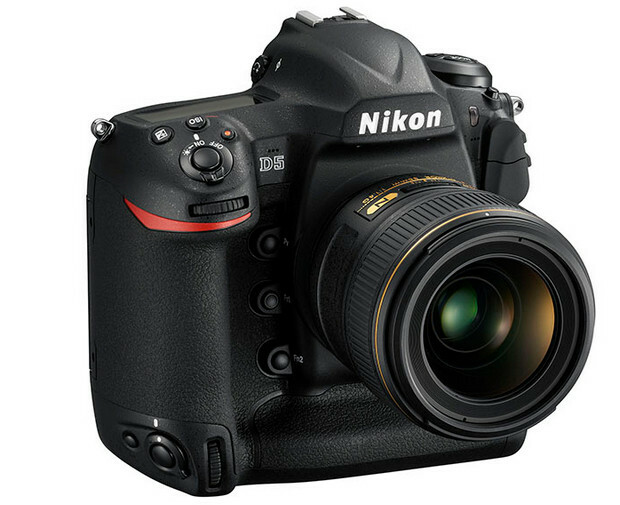 Naturally, all this wonder tech comes at a price that will make you feel like you’ve just gone two rounds with Mike Tyson, with the Nikon D5 available in March and retailing for an OMG £5,200. Scroll down for the full fact-filed press release. More affordable (ish) is the prosumer Nikon D500, billed as possessing the “best of both worlds” with a DX-format (APS-C) sensor combined with many of the pro-level features of its pricey big brother. The D500 comes with an all-new 20.9-megapixel CMOS sensor, backed by the EXPEED 5 image processing engine serving up another hefty ISO range of 100 to 51,200 (expandable from 50 to a 1,640,000 equivalent). Inside there’s the same 153-point AF system as in the D5, and when it comes to video it can match the D5 all the way, outputting 4K UHD video at up to 30fps, as well as Full HD at a range of frame-rates. Sports fans will also love its ability to shoot continuously at 10 fps with a 200 shot buffer for Raw images. 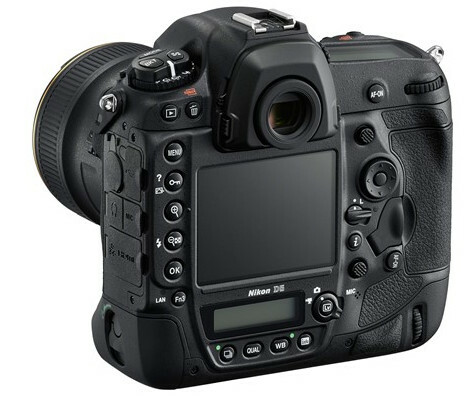 The Nikon D500 will be available in March, body only priced at £1,730. Astounding Low-Light Performance – The Nikon D5 offers an unprecedented native ISO range, from 100 to 102,400, reinforcing the D-series reputation as the leader of low-light image capture. A veritable new world of shooting opportunities awaits, as advancements in noise reduction and processing help capture low-noise images with fantastic fidelity that were previously impossible. The D5 tames the shadows, whether shooting a newlywed couple’s candle-lit first dance or sports with minimal lighting. The D5 also realizes unprecedented image quality in the high-sensitivity range between ISO 3200 and 12800 — the range favored by sports photographers. In addition, the D5 affords the ability to use higher shutter speeds with minimal illumination, letting photographers capture stunning images that are sharper, clearer and more colorful than ever before. As an added benefit, the next generation autofocus system performs in near darkness, acquiring focus in as little as EV-4 illumination. For extreme low-light ability, the ISO range is expandable from 50 (Lo-1) to a staggering ISO 3,280,000 (Hi-5), offering near-night vision capability that’s well beyond the visibility of the human eye. This extreme sensitivity is a benefit to photojournalists as well as for surveillance and security applications, letting users get shots others cannot see without a flash. This vast ISO range is also available to those capturing 4K UHD video, opening up new possibilities for multimedia and spot-news capture. Exhilarating Image Quality – The Nikon D5 delivers on the promise of stunning image quality with the adoption of a new, Nikon-developed 20.8-megapixel FX-format CMOS sensor. The camera is designed to achieve the optimized balance between the large full-frame sensor size, resolution and the new EXPEED 5 image processing engine. Users can be confident that images will have enhanced sharpness and clarity, faithful skin tones and the unequaled dynamic range that Nikon pros have come to love. EXPEED 5 also helps to enhance noise reduction, letting photographers take full advantage of the D5’s immense ISO range. When paired with legendary NIKKOR optics, the D5 is truly a tool to help photographers capture the sharpest images possible with astounding clarity and radiant colors. Powerful Performance – Nikon’s EXPEED 5 engine also serves to dramatically enhance camera performance, delivering low noise, high-speed image processing and offers the additional processing power needed for 4K UHD video. For professional sports and wildlife photographers, the D5 is capable of capturing images at 12 frames-per-second (fps) with full AE and AF, helping to ensure that the decisive moment is caught in crystal clarity and absolute sharpness. Users can also shoot at up to 14 fps with fixed focus and exposure and the mirror locked up, ideal for remote capture. Because the action won’t take a break, the extended buffer lets users shoot for up to 200 frames of 14-bit lossless RAW/NEF files + JPG fine*. The new processor is also 25% more efficient with up to 3780 shots per charge. Fast Acquisition, with Precision – An exciting addition to the D5 is an all-new AF system with Nikon’s first dedicated AF processor. The Multi-CAM 20K AF sensor module offers superior AF performance with 153 AF points, including 99 cross-type sensors – triple the AF points from Nikon’s previous flagship, the D4S. Of these 153 points, 55 AF points/35 cross-type points are selectable by photographers to quickly and easily frame any shot. The system is configurable in 153, 72 and 25-point coverage when used with Continuous AF, allowing for stellar AF tracking performance of even the most rapidly moving subjects throughout the frame. Fifteen of the AF points are also functional up to f/8, further aiding those who require extreme telephoto capabilities, including wildlife photographers. This all-new AF system is coupled with a new 180K pixel RGB metering system and Advanced Scene Recognition System, helping to achieve optimally balanced exposures and accurate white balance in even the most challenging light. Rugged Reliability and Unsurpassed Usability – Downtime is never an option, so professionals need a camera that is going to be reliable and augment a demanding workflow. The Nikon D5 delivers with rugged construction and robust weather sealing, coupled with a familiar yet enhanced Nikon interface. A new 3.2” 2359K dot XGA LCD adds touchscreen functionality, allowing the user to easily pinch, zoom, swipe and scrub in playback, and also enter text faster than ever before. Being the champion of low-light, it is only natural that additional buttons and dials illuminate for enhanced visibility, while two additional Function buttons have been added for increased customization. 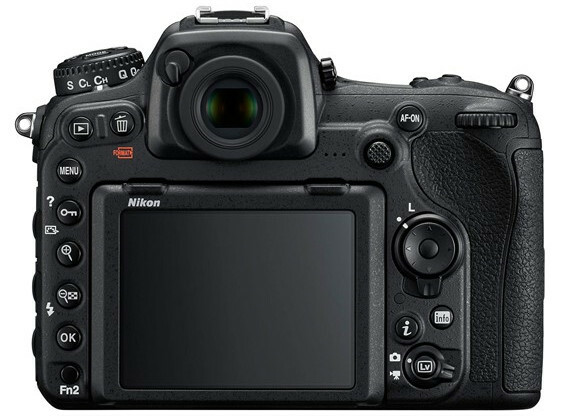 Multimedia Powerhouse with 4K/UHD Video – The Nikon D5 is the first Nikon DSLR capable of capturing 4K UHD video (3840×2160 at 30p), letting users create stunning ultra-high definition video with beautiful clarity and color. Multimedia content creators can also use the D5 to create 4K time-lapse videos in-camera using the Time-lapse Movie function, and can create 8-megapixel still images from frame grabs. A great addition to any production environment, the D5 includes all of the most popular pro-level features of the Nikon D810, including Full HD 1080p video at a variety of frame rates, uncompressed HDMI out, simultaneous live view and headphone/microphone connections. Additionally, the D5 adds a feature to smooth exposure transitions using the Auto ISO function as well as exposure compensation to create natural-looking exposure transitions in video. The Nikon D5 is optimized to work with the newest flagship Speedlight, the SB-5000, illuminating new possibilities in creative lighting. A first for Nikon, the flash operates via radio frequency and will operate without a direct line of sight for a range of up to approx. 98 feet (30 meters). This new-found flexibility lets photographers place lights in different rooms, around corners and work seamlessly in bright ambient light with maximum efficiency. When paired with the WR-R10 and the D5 or the D500, this Speedlight can control up to six groups (A-F) or 18 Speedlights for truly advanced wireless lighting. It is also possible to perform Advanced Wireless Lighting using either radio-controlled (up to three groups) and/or optical-controlled units (up to three groups) by simply attaching a conventional, optical-control Nikon Speedlight or the SU-800 Commander (as a master or commander unit) and a WR-R10 (as a commander) onto the D5. The new smaller SB-5000 Speedlight also has a radically new design that includes its own internal cooling system, which prevents overheating of the flash panel from consecutive firings. As a result, the SB-5000 can fire consecutively for longer than conventional models, without flash cool-down time between bursts, and can fire up to 120 continuous shots at 5 second intervals. Controls have also been streamlined and refined, with the addition of an “i” button for access to frequently used settings. The design also integrates versatile bounce ability, with the flash head capable of tilting down to -7° or up to 90°, and rotate horizontally 180° to the left and right. 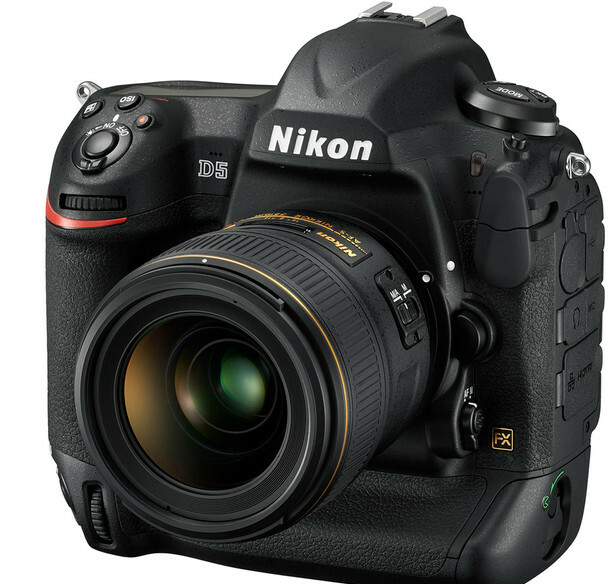 LAS VEGAS, NV (January 5, 2016) – Today, Nikon Inc. announced the D500, a DX-format DSLR with pro-level features that gives photographers nimble handling, speed and extreme processing power in a compact and lightweight body. With amazing imaging capability, robust build quality and lightning fast performance, the D500 is sure to satisfy as the highly sought-after successor to the venerable D300S. Like its sibling the D5, the D500 benefits from Nikon’s latest technological innovations such as the totally new, blazing-fast Multi-CAM 20K 153-point AF system and 4K UHD video capture, yet adds a fun new way to share photos with Nikon SnapBridge built-in. 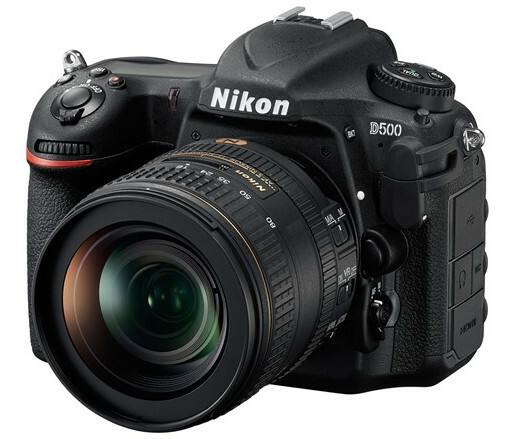 The new Nikon D500 DSLR will be available in March 2016 for a suggested retail price (SRP) of $1,999.95* for the body-only configuration. A kit will also be available, bundled with the versatile AF-S DX NIKKOR 16-80mm f/2.8-4E ED VR lens, for the SRP of $3,069.95*. The MB-D17-battery pack will also be available in March 2016 for the SRP of $449.95* and will add extended battery life and facilitate vertical shooting. The WT-7A Wireless Transmitter will be available in March 2016, for the SRP of $934.95*. For more information on these new Nikon products, please visitwww.nikonusa.com.